Julia is excited to be back at Concord Players and working on this bucket list show, after previously choreographing Kiss Me, Kate. Other director/choreographer credits include Hedwig and the Angry Inch, Ragtime (DASH Award), A Chorus Line, The Rocky Horror Show, Singin' in the Rain, and The Producers, all at The Umbrella; Next to Normal (BTD), West Side Story (Turtle Lane Playhouse), Avenue Q (Arts After Hours), Peter and the Starcatcher (Footlight Club), Shrek (Wellesley Players), See Rock City & Other Destinations (Edinburgh Festival Fringe, Ragnarok Productions), and more. 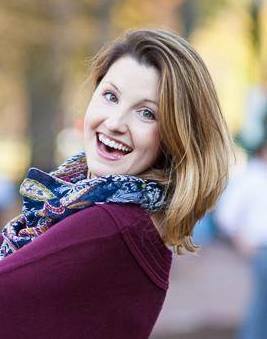 Most recently, she assistant directed Birdy at Commonwealth Shakespeare Company, and is looking forward to directing and choreographing the Regional Theater premiere of War Paint at the Umbrella next season.